For most of the year, tiny Dangriga town is a slow-paced spot for fishing and citrus farming. 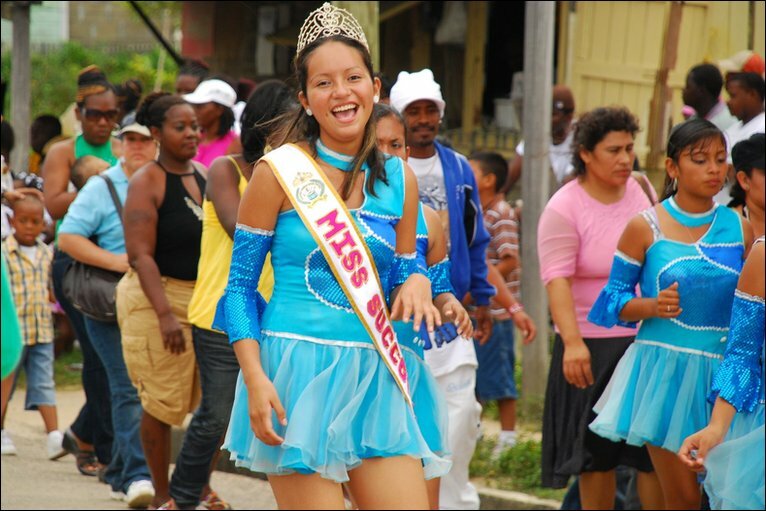 But each November it provides the backdrop to Belize's flamboyant brand of Thanksgiving. 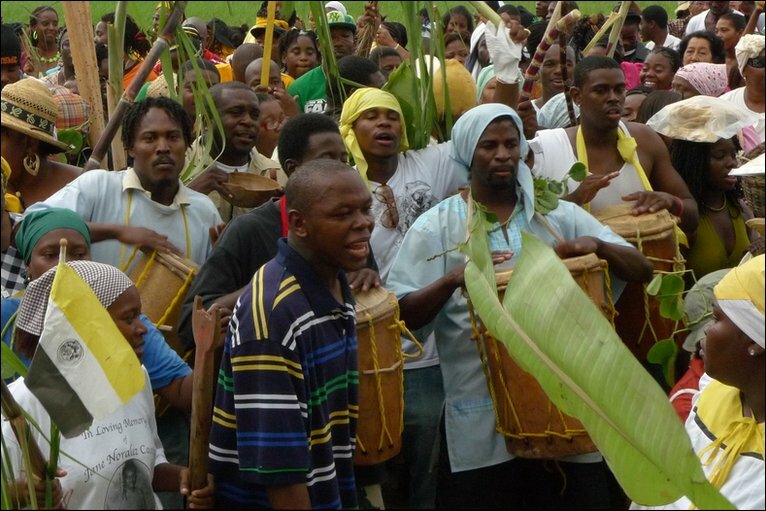 Garifuna Settlement Day celebrates the arrival of this little-known ethnic group on Belizean shores. 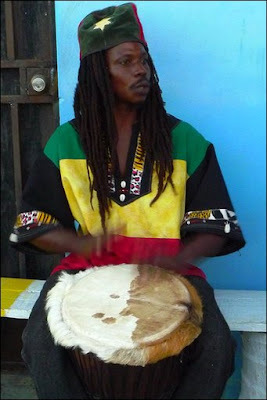 Week-long street parties, centered on epic drumming sessions, build up to their big day. 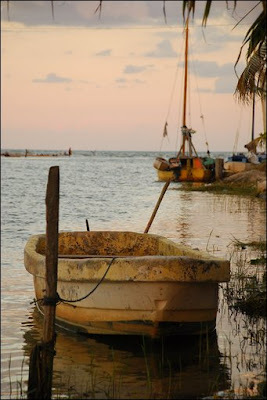 Then at dawn on November 19th, all-night revellers and early risers gather on the shore of North Stann Creek to witness boat loads of their brethren re-enacting the 1832 arrival of their ancestors. During the landing, wayfarers beat bongo-style drums and bear aloft the tricolour flag of their people. Yellow represents their indigenous heritage, black their African roots and white the role of the British in determining their destiny. In the early 19th Century, British authorities forcibly exiled Garifuna people from the island of St. Vincent for resisting colonial rule. 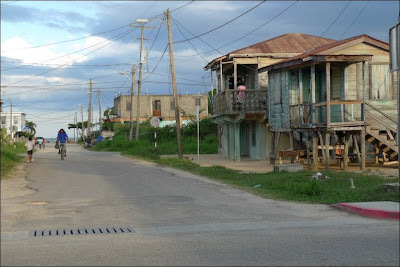 Those who survived settled in Central America. 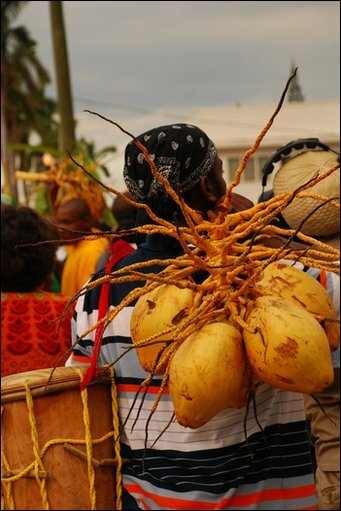 Today's pilgrims carry coconut and palm fronds, representing the crops that sustained their forefathers on that original journey. 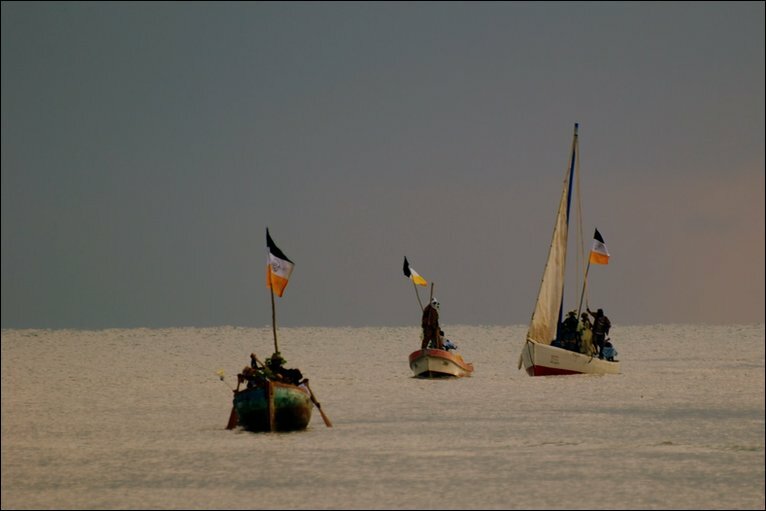 The Garifuna account for just 6.6% of its population of 270,000. The carnival continues once celebrants have paid homage to their ancestors and Christ. 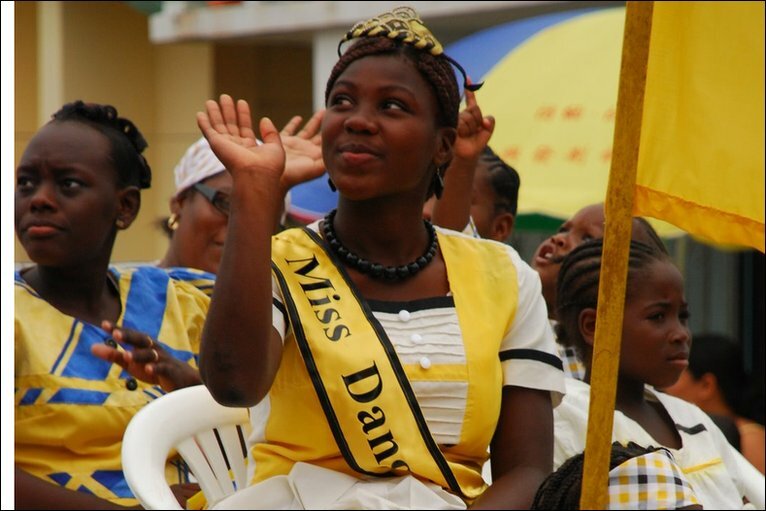 Dangriga elects its new beauty queen who leads the pageantry. 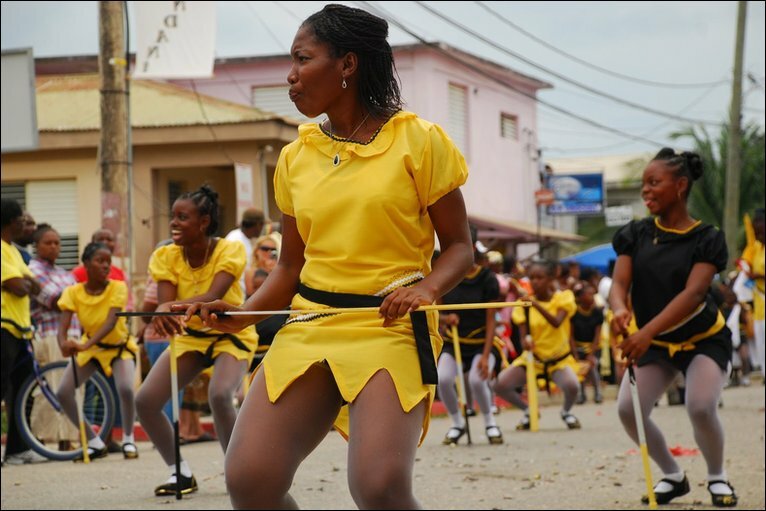 Local authorities invite participants from across the country to join the Settlement Day parade. Dragon-bearing Chinese dancers wind through Dangriga's street, while Miss Succotz represents the eponymous Mayan village in Western Belize. 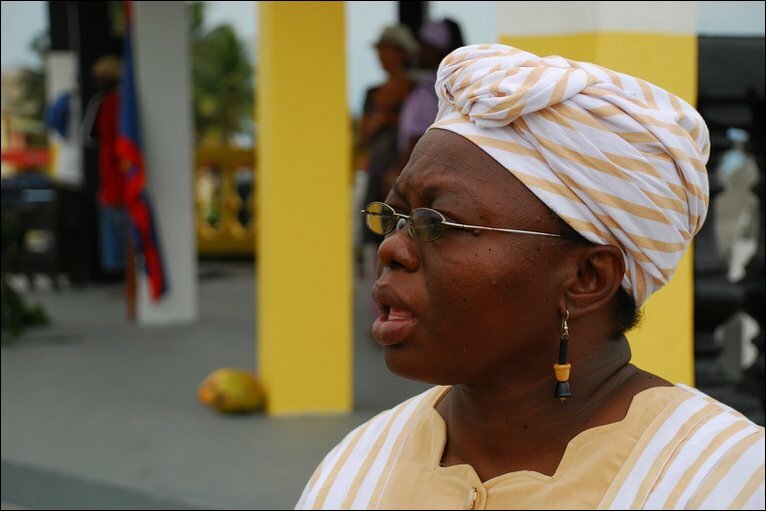 For Gwen Nunez Gonzalez, a member of the National Garifuna Council, Settlement Day is an important tool for challenging discrimination against her ethnic group. She says it is an opportunity to "to show the contributions" of the Garifuna in Belizean culture. Music and dance of Garifuna origin predominate in Belize. The heavily sexual, pulsating rhythms of punta rock make the whole country bump and grind. 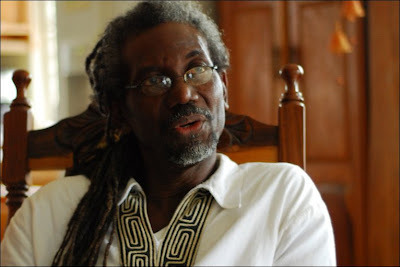 Former Unesco Secretary General to Belize, E. Roy Cayetano, describes Garifuna music as "healthy and going places"- but he warns that their language is "endangered". When the streets clear and the festival floats are put away for another year, the work is not over. 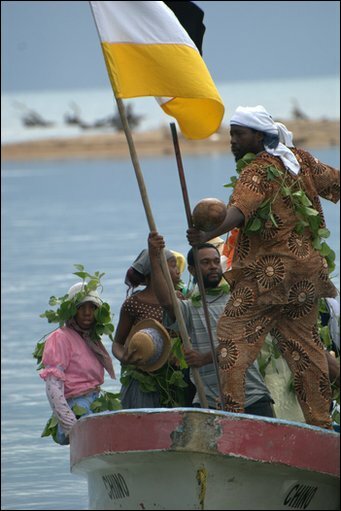 The Garifuna movement faces the challenges of keeping its linguistic riches alive for posterity. This is quite amazing. This looks like something that I would like to attend in the future. I see now why Hilton tries to go down South almost every year for this celebration. Wow! This looks great! Thanks for another interesting post, Linda! This looks fantastic, I will try to attend the next Settlement Day Festival! Always wanted to go!